If you are reading this, you probably have a strong decoder that is dead/bricked/fried. Or, maybe, someone you know does. This articles will provide all the available methods to you can use to revive dead strong decoders. Sometimes, you can run into a software problem with your strong receiver. This can stem out of various causes like; power interruption during the upgrade, loading a fake software into a genuine decoder, loading a wrong software into your strong decoder, inserting a virus-infected USB storage device, or uploading a corrupt software into your decoder. 6. thereafter, you should click on connect button on the tool and wait for it to transfer. That does it, your decoder will be back to life all other things being equal. This is a full proof no mistake process as long as you follow instructions. You need a working strong decoder of the exact model. Meaning if a strong 4922a is dead, you need a strong 4922a to wake not a 4920 even though their software is very similar. 4. Switch on the good one. My problem is that I have a Strong SRT 4940 receiver. I did a blind Scan and ever since whenever I put it on, it freezes on the last channel I was watching before and it shows “i” on the receiver screen. Please where can I download the STB tool for SRT 4940? @UMAR M: Are you talking about 4940 my TV official strong decoder? Please can you guide me on how to revive a bricked SRT 4962i decoder. It is genuine but has no data transfer option under settings. @Amatachi: please use pc loader to revive it. You can download it from crosat.us. Hey there, i have Strong SRT 8113, witch doesn’t have rs-232 type connection. Is it possible to have another type of connection for the procedure? @ayo: you must first extract it. pls I have a dead strong 4940 decoder. I wanted to use pc to revive it but it has no rs232 output. How do I go about it. Pls what does CN means when verifying a genuine strong decoder i filled the space for serial no Email but i don’t understend what CN means. Hello to all I just notic now that mtn WW package stop autoroll on strong srt-4950H receiver I don’t know what is going on with others receivers your please check your to see what is going on. good day team, is there any break through on this? MTN WW is Still on a down time here in Uganda. @ibrahim: what do you see there instead? Hello, @Ishmael you mean you loaded the last Qsat software V8.09.28 and it refused to work? Pls do this; After loading the software, connect to Sport24 at 57’E or 34.5W or on the AFN locked channels (News/Sports) for atleast 20 mins and then give me feed back. Ohh My! I almost sold my Q23 with dat powervu software inside! @ibrahim: you cannot run a software on a dead strong decoder via usb unless you use decoder to decoder transfer or the pc loader. Is sports24hd west position move? 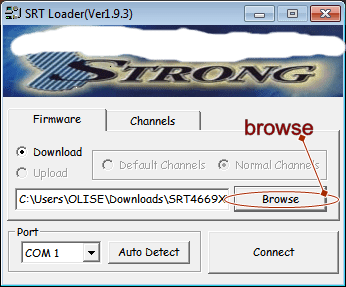 @Hajjsaeed, download 4955 loader software from wizkid.persiang.com website to revive ur decoder thru computer. 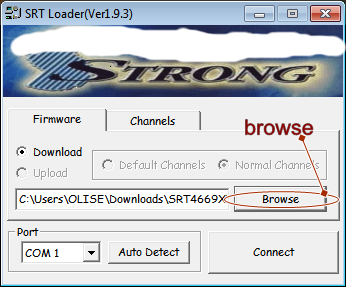 Mr Lemmy , thank s for this update l have a dead srt4669x which have tire to wake up with another decoder of same model but is not working each time connect the decoders via rs232 cable & on the good one , settings >> data transfer>> firmware and OK it will not transfer. What should I do? @hajjsaed: are you sure it’s a genuine strong decoder? Is there an powervu auto roll sw for srt 4922A yet? please can i get software that open idman azarbajan and qtv on eutelesat 7E on gsky v6 or LEG 25A RECEIVERS? Mr. Lemmy, Please where can i get the rs232 Cable?